With the SG50 celebration, our full outsource accounting services 4 in 1 package is only from $600 per year (only $50 per month). We have continue extended the package price up to year 2018. Monitoring on statutory deadline to your company. Why Outsource Accounting Services Must Choose JM Management? One of the most vital aspects of a company’s success is its efficiency to manage accounting records. Having a proper accounting system in place is what contributes immensely to helping businesses rise. Outsourcing accounting services is the best way to have firms with such credibility to support financial issues in your company. JM Management specializes in providing outsource accounting services to various business. Availing assistance from professionals in the field is a reliable way to ensure that such tasks are being conducted by the right team leaving you to focus on other vital aspects of your business. The quality services provided by JM Management aids your business with basic bookkeeping to that involves keeping a record of all transactions related to income and expenses. Also, they are able to perform utility bookkeeping to keep accounting records. Financial statements are a crucial part of their service. Regardless of the business size, the need to outsource accounting service is important to achieve accuracy in financial statements. Having experts to look these reports enables you to concentrate on client offerings. JM Management services will make sure that all your company accounting is regularly updated. Hence, timely reporting is the best way to attain more revenue for your business. Small businesses mostly operate on a budget. Professional accounting will help you avoid spending too much time to manage the finances. Not every business can handle accounting software like MYOB, which can be tricky. Unless you know how to operate the software, you might just end up making corrections that is time consuming. JM Management staffs reliable professionals to deliver impeccable results with your accounting. Dependable reports, reliable support and expert customer support including technical help are features that hiring such specialists cater to your business. Some small business or foreign branch company would engage us to handle bookkeeping in weekly or monthly basic. Though this way, it can save manpower costs and directors can have more time to focus in their business. Time to time requested and to meet company requirement. We are working closely with our clients, including foreign companies, as we know that’s why we work 18 hours daily; to promptly respond to other countries whose time zones do not correlate with Singapore. 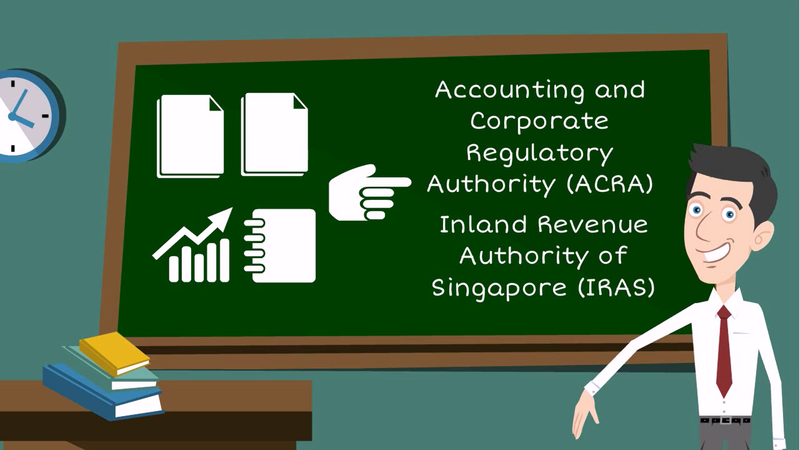 The government has always encouraged (using the government grant) SMEs to at least have one accounting system to handle their company accounts; if the company wants to do their in-house accounting by their staffs. Some companies may feel the need to fully utilise their staff and purchase the MYOB accounting system. If your staff has limited knowledge of accounts, you may need someone like us to oversee your staff and ensure that the data entered and other work done comply with the regulations, and are accurate. Our staffs are experienced and well trained in various industries; we are not only selling MYOB accounting system, but MYOB is also our in-house accounting system to records all of our client accounts. With the services that we provide, you have no need to worry about the shortage of account staff to operate your in-house MYOB. We will always assist to do a temporary backup until you hire the replacement staff or you can entrust the job to our external accountant services. We understand that hiring a suitable staff member is not an easy job. If you have not purchased any accounting system and interested to have one: you may either directly contact us for further information. The main emphasis for all entrepreneurs is to sell and operate their businesses. Hence, they rarely find time towards focusing on the administrative, accounting (besides taxation) areas of their companies. Over a span of time, these companies start accumulating uncompleted accounts which slowly become backlogs. Completing annual Form C / C-S & Appendixes for compliance to IRAS. Moreover, client companies have enjoyed a great benefit from us in terms of cost for work rendered in an effective way. Our service packages are definitely competitive, considering the scope of work that must be completed. Likewise, we are equipped with competent, skilled personnel, to provide and fulfil, all requirements; as well as compliance with concerned authorities. With JM Management, entrepreneurs can stand assured that their backlog accounting issues will be addressed appropriately. Through our years of service with many companies, we have established a good reputation when it comes to clearing backlog accounting and tidying bookkeeping. What is the benefit to outsourcing accounting works? If your business is finding it difficult to manage company accounts, outsourcing professional accounting service is the best option. There are many companies that are interested in attain such efficient services, but why? Outsourcing accounting service saves money and enhances your financial condition. 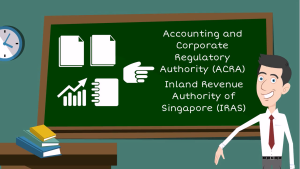 Such assistance can be availed at any time to manage accounting work for your company. These specialists handle huge accounting work to revert profit for your business. Communications support like email, phone call and online that enables clients to reach them regarding their accounts in 24/7. Hiring accounting team offshore helps businesses save precious time that can be used to focus on other aspects. Even if you outsource some part of the accounting work, you will be amazed by the results, such as accounting views. The professional team will take care of every accounting detail: bookkeeping, taxation, financial statement, secretarial and other more services. Haring confidential data can be tough especially when it comes to outsourcing your company’s financial details. The reliable assistance of the accounting team offers strict confidentiality to your data. Similarly, rely on them with your tax evaluation report. They offer counseling as well to clients on financial matters. A planned strategy is always great to ensure appropriate business solution for success. The team is efficient enough to carry out all intricate tasks and you will be amazed of their expertise in the field. Obtain broader outlook with ideal financial accounting and management. Companies can also avail advice on tax preparation and calculation. Back office service is also an added benefit that is extremely crucial for any company’s success. The specialized team is able to handle such tasks so businesses can also outsource administrative tasks to professionals. The right outsource accounting company can make a great deal of difference to your business. They take care of accounting, bookkeeping and back office jobs so you can always excel in performance. The overall impact is huge as most of the company’s revenue is attained with a proper accounts department at work. Check out in About Us website page for more details of our services.